Sump pumps are small, self-contained electrical pumps which are designed to pump water. 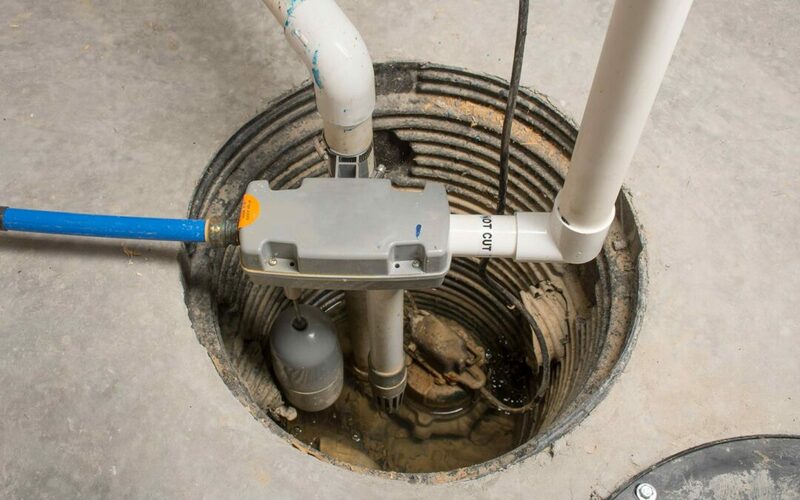 When installed in a basement or crawlspace, sump pumps can efficiently remove excess water and pump it to a nearby drain or away from your home. According to estimates from the National Flood Insurance Program (NFIP), floods are the largest disaster in the US, averaging over $3 billion in claims per year. Using a sump pump can address the problems and damage caused by flooded basements. There are two broad types of sump pumps-submersible and pedestal. Submersible pumps are generally regarded as more reliable and last longer than pedestal pumps. American Crawlspace Solutions only installs reliable, long lasting submersible pumps. A sump pump is usually installed in a sump pit dug in the lowest part of the basement. When the basement is flooded, the sump pump turns on and pumps the water from the basement to the nearest drain. Most pumps are automatically activated by float switches. Water causes the float to rise and activate a switch which makes it turn on. Some homeowners elect to install a manually operated sump pump which turns on only when needed. However, these are less common as they are not as convenient as the automatic versions. The typical sump pump uses a centrifugal pump to remove water. When the motor is on, it causes the impeller to switch on. The spinning impeller forces water towards the side of the basement creating a low-pressure area in the center. Water from the pits rushes to fill the void and is drained out by the impeller through pipes. Sump pumps are very effective in reducing intrusive water from a flooding event in your basement. The quick removal of water helps prevents any lingering structural damage to your house which would have otherwise occurred if the basement has remained flooded. As it removes water, the sump pump also reduces the chances of mold growth due to dampness. Mold growth causes musty odors to permeate through a house. Mold is also associated with adverse respiratory health effects. Another advantage of using a sump pump is that it maintains or even enhances the value of your property. Quickly removing excess water keeps the structure of you house intact and prevents any serious damage which helps to increase the home’s value.